One of the most comfortable beds!! Totally worth the price you pay. I was considering buying a tempurpedic before laying on the Serta. GO FOR THE SERTA!! This user was entered into a sweepstakes after submitting their honest review. Step up to our next level of cooling comfort with the Blue Max 1000 Cushion Firm model, featuring even more temperature-regulating technology than our Blue 100, 300 and 500 models. It combines our TempActiv Max Gel Memory Foam and TempActiv Touch Fabric Technology with two other layers of premium memory foam for an instant 'cool-to-the-touch' feeling and enhanced heat dissipation. 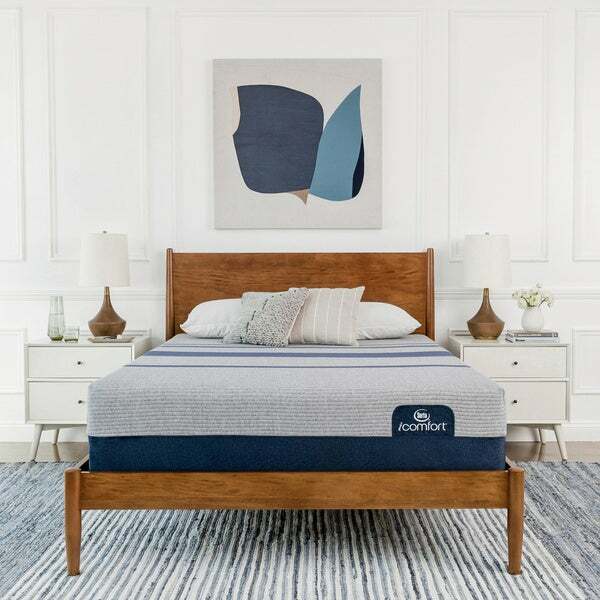 Plus, a layer of ActiveBalance Support Foam enhances the responsive feel of the memory foam layers, creating a substantial and extremely comfortable plush feel. Due to the nature of Memory Foam, the firmness level of every item is unique. Please be advised that even similar products may produce different firmness results. One of the most comfortable beds!! Totally worth the price you pay. I was considering buying a tempurpedic before laying on the Serta. GO FOR THE SERTA!! "Is the box spring included?"